If you’re planning a couple of days of wandering and sleeping under the stars, it is imperative that you find a sleeping bag that lends itself to backpacking. Your chosen sleeping bag should be both comfortable and lightweight, with the ability to be easily stored away when not in use. The Ultra Lightweight Sleeping Bag from Redcamp is one of the few sleeping bags that boasts all these features without the drawback of an impossibly high price tag. We’re going to be discussing why you should consider adding it to your camping arsenal in today’s review. Those who purchased the Redcamp Ultra Lightweight Sleeping Bag back in 2016, when it was first made available online, report using it without issue to this day, so you can be certain you’re getting a high-quality product despite its low price tag. Because Redcamp sells the Ultra Lightweight Sleeping Bag for less than $30, it is a popular choice among camping novices who don’t have the need or desire for a more expensive alternative. 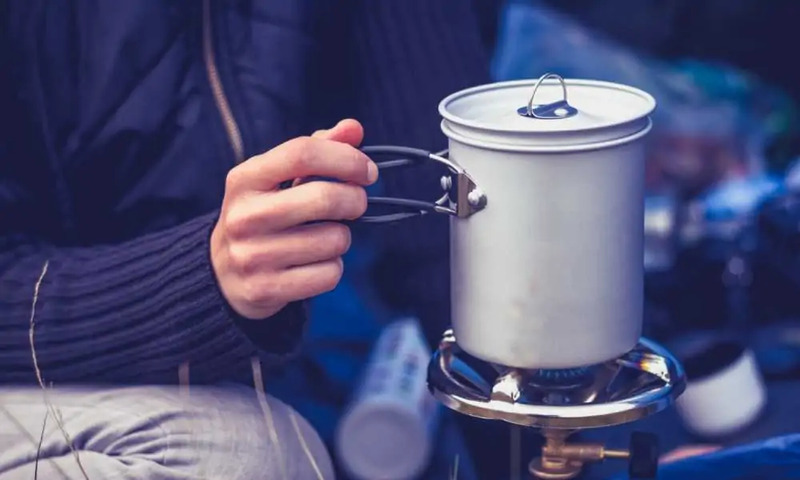 It is intended to be used primarily by adults, although its large size means it could accommodate two children at a time, so you should consider it if you are planning a family camping trip. It is important to remember that the Redcamp Ultra Lightweight Sleeping Bag is designed for use in moderate to warm climates and so should be avoided if you are visiting colder regions of the globe. When you purchase the Redcamp Ultra Lightweight Sleeping Bag, you’ll also receive a branded Redcamp stuff sack in which the sleeping bag can be stored when not in use. Redcamp is pretty confident in the quality of its Ultra Lightweight Sleeping Bag. 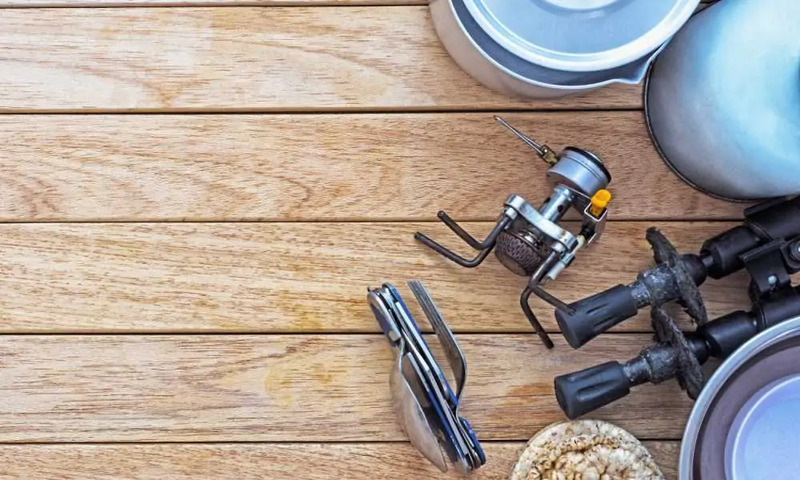 The manufacturer is so confident, in fact, that it promises a 1-year warranty with every purchase of the product, so you can be certain of a repair, replacement, or refund should any problems arise in the first year following purchase. If you didn’t guess it from the name, one of the major selling points of the Redcamp Ultra Lightweight Sleeping Bag is its lightweight design. This sleeping bag weighs in at just 1.8 pounds, so you’ll hardly feel it when carrying it to your chosen campsite. Its 201D polyester shell is resistant to both tears and water and can be easily cleaned should it accumulate dirt during your travels. Meanwhile, its breathable spun-cotton filling ensures a constant flow of cool air, thereby eradicating sweating and overheating throughout the night. If you are planning a camping trip with your partner, you’ll certainly appreciate the reverse zipper with which each Redcamp Ultra Lightweight Sleeping Bag comes fitted; this zipper allows the sleeping bag to be attached to a second model to create a double-bag for extra room. 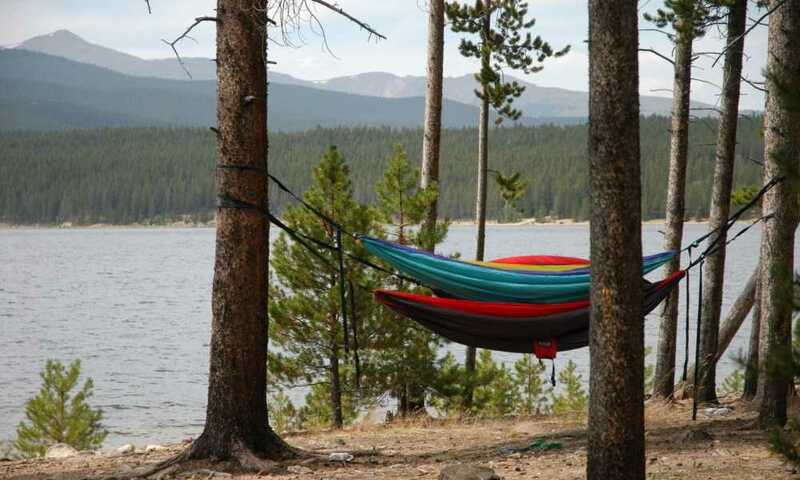 As any experienced camper will tell you, certain sleeping bags can be a real pain in the neck to unpack and unfold. The Redcamp Ultra Lightweight Sleeping Bag, however is not one of them. 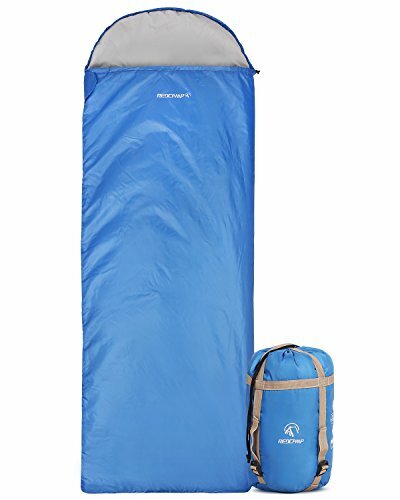 Redcamp designed this sleeping bag to be as easy to unpack as possible, so it can be removed from the included stuff sack and fully laid out in a matter of seconds. We know that may seem a little too good to be true, but in the below video you’ll see a Redcamp customer effortlessly unpack and unfold the brand’s Ultra Lightweight Sleeping Bag ahead of a night under the stars. If you are planning a cold-climate camping trip, you should avoid the Redcamp Ultra Lightweight Sleeping Bag and instead go with a sleeping bag similar to the TETON Sports LEEF. The TETON Sports LEEF is a 4-season sleeping bag that is just as effective in the middle of December as it is in the heart of a heatwave. It uses a three-piece ultra-puff hood for extra warmth, as well as additional padding along the zipper to combat wind. Its water-resistant shell ensures you stay dry during rainy nights, while its interior pocket provides you with a place to store your smartphone, wallet, and heat pad. While the Redcamp Ultra Lightweight Sleeping Bag certainly isn’t for use in cold climates, those planning summer backpacking adventures will have a hard time finding a sleeping bag more suited to their needs. Although this sleeping bag offers many premium-quality features, such as a water-resistant shell, spun-cotton filling, and a reverse zipper, it can be purchased for under $30. 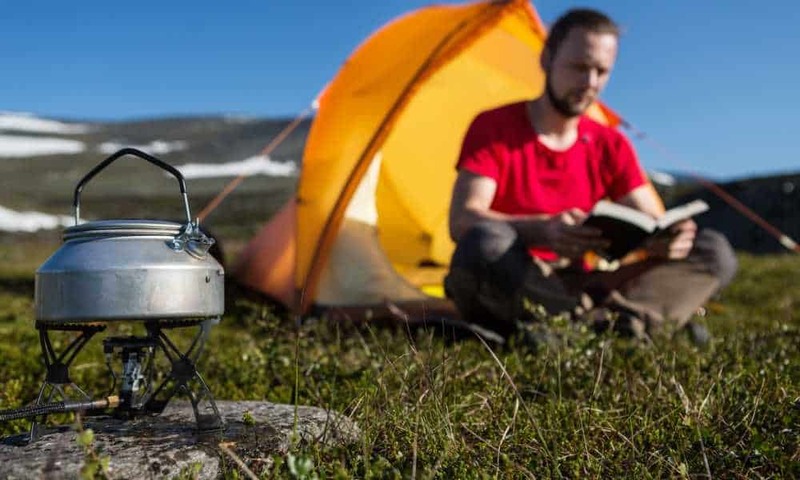 Thanks to this low price tag, explorers on a budget can secure a comfortable night’s sleep without eating into their funds for food, drink, and leisure.